Definitive Guide to Lead Scoring - SalesChat.co : Live Chat Operators for Business Sales And Support. Want to beat the competition? Who does not. Learn best practices and latest trends in Lead scoring and how to make your business ready to scale in Digital Age. Lead Scoring is a process to analyze the leads or we can say Lead Scoring is the method to give rank to the prospects. The criteria on which clients are valued are their behaviour or interest towards a product or a service. A company can easily recognize which lead is ready to buy, which one should be nurtured more or which one is disqualified. This judgment is done by analyzing the interaction of the customers with the company throughout the buying cycle. The lead scoring advanced strategies always help to give a clear vision of lead pipeline. These also play a vital role to identify the clients that are ready for a purchase. Product scoring is based on the ranking of the leads due to their attraction towards a specific product or a service. A company may have more than one services or products and it is also possible that clients show interest towards more than one product. Through this, a company can also judge its most desired product by the leads. Sometimes a single lead is not involved in a single purchase. Sometimes, a group of people is interested in a single purchase. In this regard account scoring is the more suitable strategy. When such committee or group of leads interact with the marketers for purchase, they often use a single account for that. At that time, sale teams can identify their interests by examining their activities and through their interests, you can also analyze to what extent they are ready for a purchase. In the lead scoring, there are many types of leads. Some prospects are purchase ready, some are making up their mind by downloading coupons and brochures, and some are inactive and just visits the site. For a company, it is necessary to keep an eye on each lead. In such a case, score reduction strategy proves itself as a helping hand. In a score reduction strategy, when a prospect shows inactive status for a long time, the scoring points of that lead is removed. Thus, it focuses on the clean database and on those clients that are already engaged with you rather than to focus more on inactive leads. The methodology of lead scoring looks simple but we can only take benefit through it if we follow proper implementation strategy. Divide your lead scoring plans into different steps, works on each step and at the end examine the results. We only place or use a thing only where it is required. First, examine thoroughly if your company needs the lead scoring system or not. 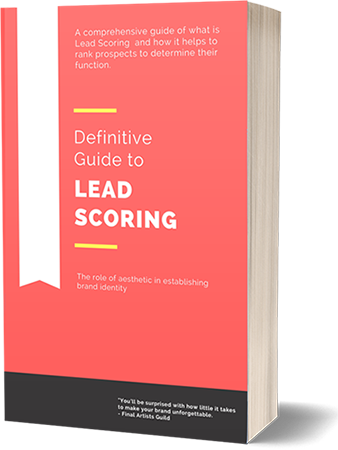 If your business already has enough clients without calling them too much or without nurturing them then using lead scoring is waste of time. But if your marketing and sales team have to spend more time on leads for purchase, then lead scoring system is essential for your business. By using the Explicit or implicit lead scoring strategies, gather as many information as possible about your leads to analyze how they communicate with you and give the response to you. Through proper data, you can score your prospects as hot or cold leads and can score them accurately. MQL is a lead that has more chances to become a customer based on their intelligence as compared to the other leads. To identify them, you have to make some criteria(sometimes more than one criteria) using their website visits, activities, and downloads. Once, the MQL is identified, gather their information and document them. When you established the criteria for MQL, it is time to track the people that visit your sites to gather information that is related to your criteria. You can analyze it through the website visits and sign up for the forms or simply updating the forms. By utilizing your marketing efforts, you can attain many leads that match your established criteria. The actions that determine your criteria can influence the different leads in a different way. Now, it’s time to categorize the actions that most likely have the chance to give the quality leads. Score these actions based on the fact how much they influence the prospects. You can give the points to these actions. After giving the scores to the actions of your criteria, establish a score that exhibits the MQL. Such as the leads that reach the score near to 80 or 90 can be considered as sales-ready lead. Once you establish a certain score to become a quality lead, track your leads through their activities and keep giving them score. So, once they attain the status of MQL, you can refer them to the sales team. It is crucial that your sales and marketing team should be aligned so that they can easily evaluate the weak points from the lead scoring system, can eliminate it and also update it. This can only be done when both teams have a regular meeting discussing the performance of the lead scoring system and the quality of the leads delivered to the sales. In implicit lead scoring, a company can score its client on the basis of implied interest shown either in the form of downloading ebook or subscribing to blog. On the contrary in explicit lead scoring , leads are scored on the basis of concrete information available either in the form of demographics or other information about the lead. According to a research, 66% to 81% of companies didn’t use the lead scoring strategy yet and according to MarketingSherpa, only 21% of the companies experience lead scoring. Before using this methodology, every time the questions arise, how is it helpful for a company? How is it related to the productivity? How is it useful to invest the time in the more suitable way? The answer is simply that those companies that are using lead scoring strategies are enjoying dozens of benefits that other companies never have. Lead Scoring not only increases the ongoing engagement with the leads but also saves chase time for the team. Here are the areas where lead scoring proves itself fruitful. Though in every company sales and marketing works in different states following different strategies their task. When we talk about online buying and selling service, both sales and marketing teams should work hand in hand to achieve the same goals. Through the lead scores, the sale team can have the constant communication with the prospects analyzing which clients are most beneficial for the company. On the other hand, the marketing team can make strong marketing contents for the leads that will engage those clients with the company. Such sales and marketing alignment can be established by regular meetings of both sales and marketing teams, by updating the lead scores according to their interaction and through proper collaboration between both teams. One of the main purposes of lead scoring is to generate quality prospects. This means that in this strategy, marketing team consumes most of its time for the leads that are sure about the purchase. Hence, increasing the sales-rate at the end of the day. According to the Lenskold-Pedowitz study, 68% of marketers said lead scoring was “highly effective and efficient” at improving their programs’ revenue contribution. It means instead of giving equal time to all leads and having the same sale-rate, it is better to focus more on quality leads to increase the sales-rate. When scoring the leads, it is very critical time to filter the cold leads. It saves the sales team from utilizing their time in following up the inactive leads. Hence, gives more time to get engaged with the active clients. This will shorten the time for the completion of sale-cycle. Moreover, it will only give the leads that will turn your precious time to some benefit. Sometimes, a system is built for the betterment of a company but its wrong implementation can push the business several steps backwards. Same happens in the case of lead scoring. When it is not managed properly, it can go wrong. Using one dimension to score the lead is not enough. A prospect should be scored in a such a way that you can easily differentiate between behaviour, demographics, and firmographics. If all these factors are represented by a single value, it will give a complex look. That’s why it is important to consider more than one-dimensional scoring. One of the wrong way in lead scoring is to ignore the negative scoring. Subtracting the scores of the leads provide an easy way to sort the quality leads. Some prospects only visit a company’s websites to find work, or some leads become cold leads after earning many points. When scores are subtracted for such leads, It prevents you to falsely register the clients as qualified. When a lead interacts with a company, it gives its information by filling a form. Most of the leads don’t give accurate information as they avoid to share personal information. They may also not sure about their purchase. Keeping in mind that points, don’t merge all the required questions in a single form. Instead of it, sections the fields of the required information and ask the leads to provide the answers step by step. Steve Gershik did research on the lead scoring. He observed the revenue of 10 companies before and after applying the lead scoring strategy. He concluded that the total revenue of these companies increased from $16.8MM to $19.8MM. Isn’t it feel excellent to achieve enough quality leads through lead scoring resulting increase in total revenue just in six months?